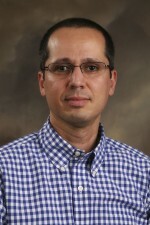 Mr. Youssef Salhi, Lecturer in Arabic, was recently awarded the prestigious Malone Fellowship. He is one of only five professors from U.S. universities to receive the fellowship. The Malone Fellowship is offered by the National Council on U.S.-Arab Relations (NCUSAR) in cooperation with the government of the State of Qatar. As a recipient of the Qatar Malone Fellowship program, he will travel to Qatar with a scholarly delegation later this month and will meet with government officials, social and business leaders, educators, students, journalists, and artists. During the 2016-17 academic year, he will engage in a variety of activities, speaking engagements, and events pertaining to Qatari-U.S. relations and to Qatar’s role in regional and world affairs.